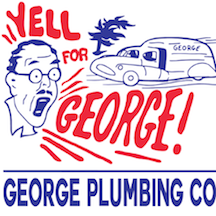 Serving San Antonio Since 1947 - George Plumbing Co., Inc. These customers have Yelled 4 George on Google and Facebook. Here’s what our customers have to say about George Plumbing Co., Inc.
"Doug came out and did a 5 star job fixing my tub faucets and recaulking the bathtub. I was so happy with the professionalism and work this company does. And, the price was right. " "Arrived on time. Plumber was courteous, knowledgeable, and friendly. He finished the job efficiently, professionally and even taught me a couple things while he worked. Definitely recommend!"